Feel good, look great and swim well. Stand out for having great style as well as your performance in the pool. 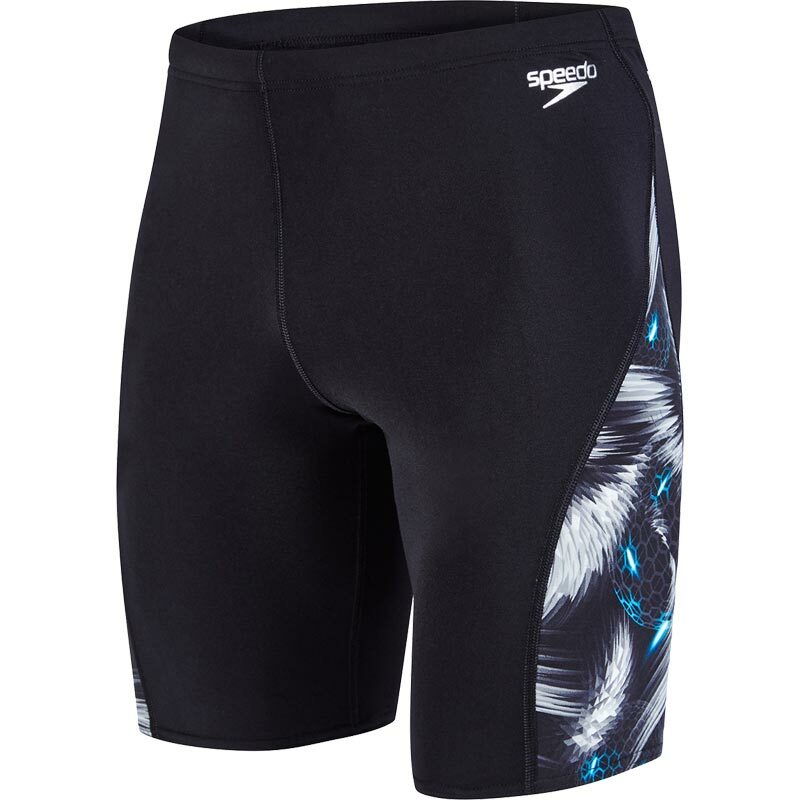 These striking competition Speedo ® Allover Digital Print Jammers will give you the confidence you need to take on the competition in comfort. Made from our 100% chlorine resistant and designed to promote a smooth, hydrodynamic profile in the water these Jammers are made from Speedo's Endurance®+ fabric. Featuring a digital print on one side, they offer fantastic freedom of movement whilst the drawstring waist offers a more secure fit. bought for my teenage boy, previously in the age 15years shorts. So bought these thinking we were going up in size but they are the same size, so too small for him.